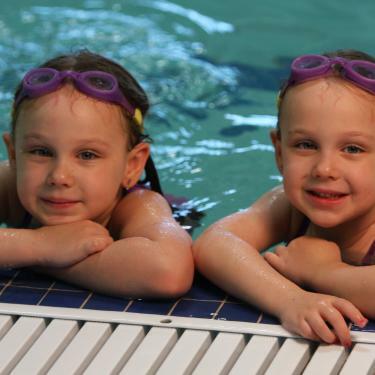 Our goal is to teach young children to swim in a positive, safe, and loving environment. We recognize that each child is an individual with different emotional and developmental abilities and we cater each lesson to those needs. 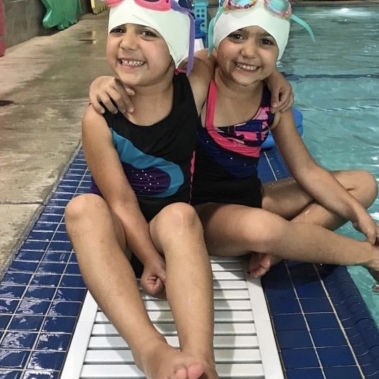 In addition to teaching the lifesaving skills of swimming, we also strive to develop each child’s self-esteem, confidence and love for the water. Beginner class ratios are 3:1, the lowest in town, and our parents enjoy a comfortable air conditioned viewing experience. Next, is our unique indoor pool that is temperature controlled (water and air), the water has a salt chlorine duel computer controlled system with an ultraviolet sanitizer. Combine all of this with wave-less gutters and underwater music for a beginner’s paradise. AKSC swim staff are Red Cross certified and receive constant training so that you can be assured quality instruction. We focus on making swimming safer, fun, and enjoyable, because creating a happy swimmer is a gift that lasts a lifetime! We are a 5-star member of the US Swim School Association. 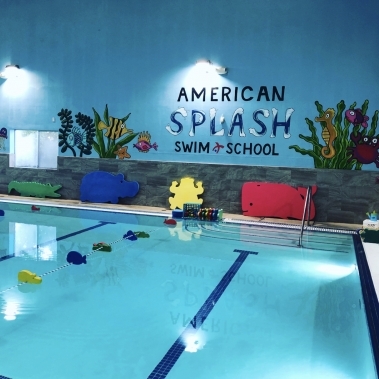 Swim Director, Theresa Wold has been a part of the American Kids family since 2008. During her tenure, Theresa has changed the lives of countless children, always striving to help families understand the importance of water safety. With a BA in Liberal Studies & a minor in Special Education, Theresa has an unmatched passion and drive for ensuring that all children have an equal opportunity to become water safer, and offers lessons to an abundance of special abilities students. 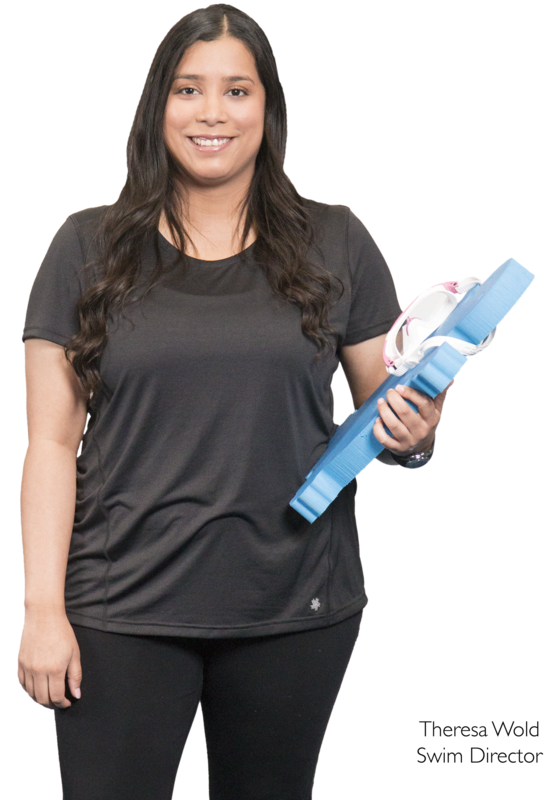 Theresa has traveled the United States to attain her certifications in infant toddler education and special abilities from the United States Swim School Association and continuously furthers her education each year. 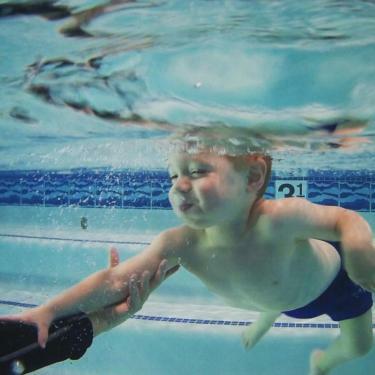 * We provide a warm, inviting atmosphere that will enhance natural newborn water instinct. * Students 3yr5mo & under (including potty trained students) MUST wear reusable/washable swim pant sold at AKSC. Don't see a day and time on the schedule that works for you? Email us. * We offer a gentle and loving approach to teaching basic water safety skills to both child and parent and each families own pace. 12 to 36 month olds - Non-Parent participation. * Swimmers work on basic swimming and water safety skills through an independent class structure. * Students 3yr5mo & under (including potty trained students) MUST wear reuseable/washable swim pant sold at AKSC. * Students will learn basic swimming as well as water safety and survival skills. 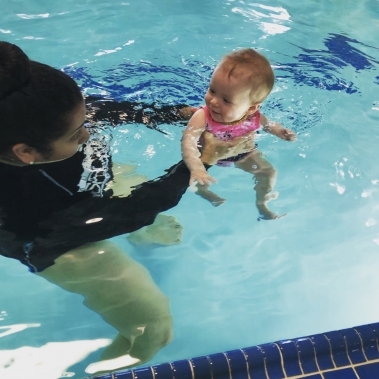 * A Tadpoles class offers a similar set of skills as a Goldfishies class but with an emphasis on breath control, endurance and swimming independently. * Students will work towards establishing breath control and submersions. A great combination of fun and challenge, this class creates a base skill set to build on as our students move into the intermediate and upper levels. * The focus for students will be breath control and the transitional skill of the “Roll Over Breathe” method, which is used for the student to gain a breath on their own. * Swimmers are learning their Freestyle with bilateral breathing with proper alignment of their arms and kicks. 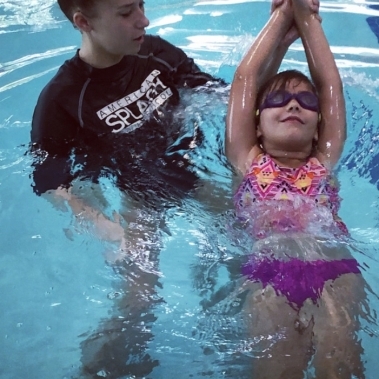 * The Butterfly stroke is a natural progression for students who are proficient with their Freestyle; the arm and leg movements are similar while the body alignment and undulation are the same. Dolphins will be learning their wiggles and arms, followed by timed breathing to complete their stroke. * Swimmers will be learning their kicks, body rotation, arms and finishes for Backstroke, while continuing to refine their Freestyle and Butterfly strokes. * Breaststroke is broken down into several skill drills to insure proper technique is learned. Swimmers will also continue to refine their Backstroke, Butterfly, and Freestyle strokes. * Students will learn underwater starts & finishes while working on their endurance. Swimmers will continue to work on body alignment and proper techniques to help prepare them for a competitive team. * Students will learn to enhance their abilities by working on speed as well as longer durations of swimming. Swimmers will continue to work on body alignment and rotation, but will be more focused on the little movements that will require less effort and more speed. 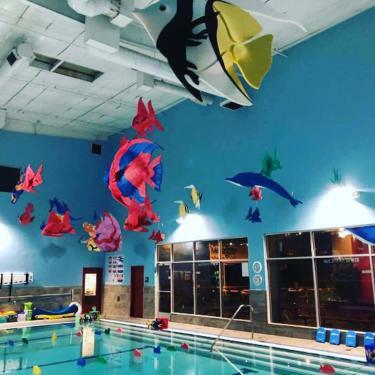 "My favorite parts about our experience with AKSC Swim is the fact that my kids have grown to LOVE the water, learned water safety skills, and continue to learn swim techniques. We love AKSC Swim!" 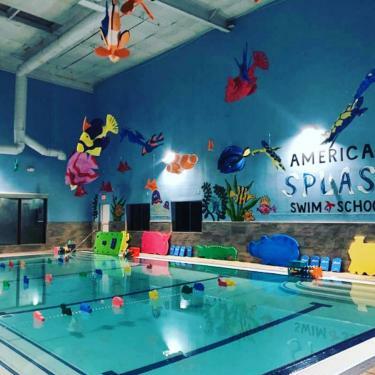 "The American Kids swim program has not only allowed my children to gain strength, coordination, and confidence, but it has also allowed them to learn important life skills such as learning to take turns, celebrating each other’s successes, and setting personal goals." "They are all so welcoming, kind to the students and parents and provide great feedback. It is appreciated! Thank you"
"I'm so happy with this swim program. My kids are both more confident in the water and are able to swim all over our pool at home. Both my kids have turned into little fish that love the water!"